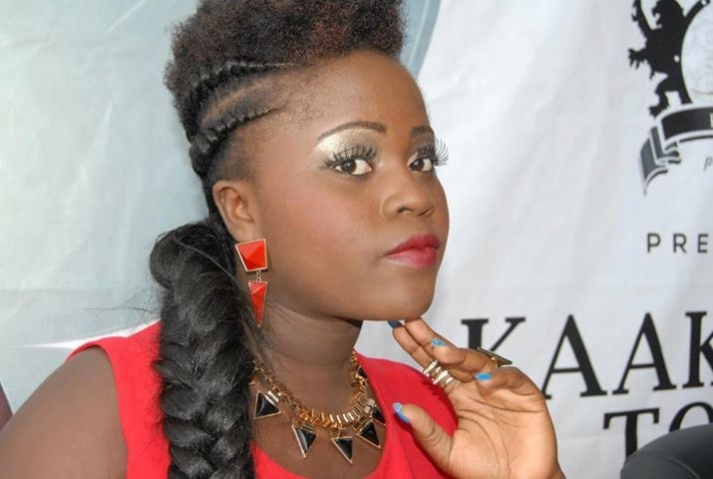 Dancehall artiste, Kaakie, says she does not want to be compared to any musician who does her kind of music because she remains the best. According to Kaakie, her track record is evidence that no female artistes comes close. “I am the only female artiste who has won Dancehall Artiste of the Year award and I am glad to say I opened the door for others to follow” Kaakie told Showbiz in an interview. Although nothing has been heard from Kaakie for almost a year, the Too Much hitmaker said the fact that she has been quiet does not mean she has been overtaken by others. “In this game, you need to give way for others to shine. When Kaakie started making it where were the others? What I am proud of today is the fact that others are following my footsteps,” she said. Throwing light on what has been happening to her music career after releasing Ronaldo last year November, Kaakie, real name, Grace Kaaki Awo Ocansey, said she has been touring countries like Zimbabwe, South Africa, Nigeria among other African countries with her music. “ My dream is beyond Ghana and I am planning with my management team to make that a reality,” she said. Asked what she was currently up to, Kaakie who did not want to give out much just said she is coming out very big next month. “I don’t want to talk too much but allow my action which is my music do the talking. People think Kaakie is no more but I want to surprise those doubting me that I remain the best”, she added. Known for songs Zuuchia, DC Tun Up, Body Flame, the graduate of University of Ghana, Legon, who started her music career at St. Martin De Porres Basic School in Dansoman, Accra said nothing will stop her from doing what she loves best which is music.